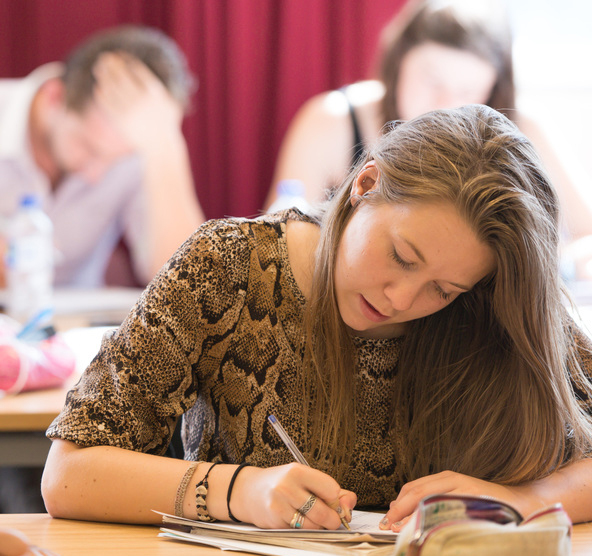 The Centre for Academic Success is the University's central learning development service. Our aim is to help you develop all of the necessary academic, technical and numerical skills you need to progress and successfully complete your course. We are based on the ground floor of the Curzon Building in Room C033A. We have a front desk in the social learning space on this floor, open Monday - Friday: 9am to 5pm. We also provide some services across the University. Our meetings helped me improve my writing skills immensely, and boosted my grades. Tutorials are available for all students to attend, and there are slots available for 30 minutes or one hour. In this time you will see a tutor who can help you with any specific issues you are having. Tutorials are held on most week days at the City Centre campus but are also available some days at the City South campus. It is recommended that you look to see if there are any workshops that will answer any questions you have before booking a one to one tutorial. Look at part of your work and make suggestions on, for example, how to improve your academic writing style. Advise you how to structure your work, use sources and reference correctly. Give advice on reading techniques, research methods, critical analysis, statistical analysis, etc. Look at your data and make suggestions about how you could analyse it, and show you a trial analysis so that you learn how to do it for yourself. Proofread or edit your work for you. Comment on the subject matter or explain your topic to you. Make decisions for you about your data analysis or do your data analysis for you. We are here to help you develop academic skills that you can apply to your course work and assignments. If you have questions that are specifically about your content, please ask your subject tutors. Although face-to-face personal tutorials are preferable, we understand that this may not be possible in certain circumstances. Some tutors therefore provide email tutorials for some subjects. When booking a tutorial slot, have a look in their list of Topics to see whether they offer Email or Online Tutorials. The tutor will allocate the time of this tutorial slot to look at your work and will email you back when they have finished at the address you have provided. All of our listed workshops are available for any student in the university to attend. We also run some drop in sessions where our tutors will be available for you to seek support without having to book ahead. If you cannot find a workshop or drop in that you think will help you, consider booking a tutorial. We have created and collated a range of online resources, which may help address some of your queries or issues. If you still feel you need more support after viewing any of these resources, feel free to attend a workshop, or book a tutorial, where we can help you further. If you have been identified as having a specific learning difference, such as dyslexia, we can offer you the same sort of support we give to all students, with any necessary reasonable adjustments. If you think you may have a specific learning difference, or need specialised support around this, you should call ASK on 0121 331 7777, send an online enquiry to www.bcu.ac.uk/askus or talk to them at one of their drop in desks - found here. International students can access any of the support that we give to all students, including all of our workshops. We also offer some support specifically for international students, like our English language workshops and conversation clubs, tutorials for English language support, and resources specifically designed around English language support. Please contact us for more information about the services we provide, or for any requests for bespoke workshops or talks.